How Can HR People Be More Valuable? We used to just call them “mental health days.” Those days when you just need to get some separation from the daily grind, refresh yourself, and do whatever it takes to get a break from multitasking and workplace tech. Growing in our jobs doesn’t always mean getting a promotion or a raise. Growth is about mastering new skills, taking on challenges, and pushing to be better—both professionally and personally. For the average person, data without a narrative is like a trip into the wilderness without a compass: overwhelming and disorienting. But when the facts are tied together by a good story , an otherwise intimidating journey turns into an enriching experience. At last year’s KronosWorks Conference, New York Times best-selling author and fellow Workforce Institute board member Dan Schawbel , talked about the latest workplace trends forecast based on his research. Thanks to technology, it’s now easier than ever to connect with your friends, family and coworkers with nothing more than a mobile device and an internet connection. With less need for the amenities of a traditional office, comes less need for the traditional 9-5 work schedule. HR leaders recognize that they should be using analytics to support decision making. However, how to do so is often a bit of a mystery. Since many HR leaders don’t have a good sense of how to get value from analytics, they move it off their plate by passing it to the HR reporting team or to some newly hired data scientist. Not surprisingly, HR leaders are not familiar with the role the average HR professional plays in analytics so they don’t involve them at all. A great company culture goes beyond work perks. While those special perks (free gourmet lunches, for example) are thrilling for new hires and a great tool for recruiters, they aren’t enough to keep your best employees engaged over time. Across the tech industry, from well-funded start-ups to blue chip firms, niche companies to some of the world’s most popular brands, nearly everyone is hungry for talent. When you think about who communicates with people outside of your company the most, you probably think of sales reps, but you should be looking at your recruiters. In fact, they spend almost all their time talking with or about people who aren't employees. Glassdoor says each corporate position receives an average of 250 applicants. Of course, that number is going to vary wildly depending on the position, but recruiters can potentially interact with thousands of people every year. I like to think that we all know diversity in the workplace produces positive results to the bottom-line. But did you know that people are looking at a company’s diversity as part of their investment strategy? Losing a top employee can be a nightmare for just about any manager. Knowing that the team will be down another set of hands is stressful even if you were expecting it. In the late 1980s, British employers waited with bated breath as a demographic time bomb ticked: Government bodies and industry experts predicted a severe worker shortage due to declining birth rates and increasing numbers of young people remaining in full-time education. Over the last several years a performance management revolution has taken place, and businesses are now focusing more on the growth and wellbeing of their employees. 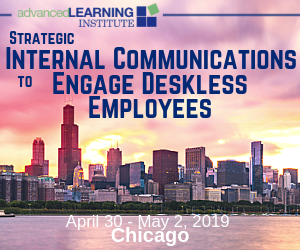 This has led to the implementation of employee development programs that annually cost companies hundreds of billions of dollars. Internship programs are a great asset for organizations. Not only do they give students an opportunity to gain valuable experience in an industry they're interested in, but they also give companies the chance to give potential future employees a low-risk trial run. Though internships can be mutually beneficial for interns and the organizations that employ them, there's a lot that can go wrong as well. Just in case you missed it, during the Society for Human Resource Management (SHRM) Talent Conference, they announced a new specialty credential in talent acquisition that will launch in June 2018. If you’re wondering what a specialty credential is, think of it as sort of a micro credential. 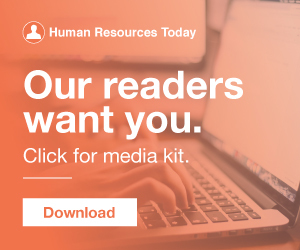 Bersin by Deloitte recently revealed which key differentiators the highest performing HR organizations have that others don’t in “ High-Impact HR ”. 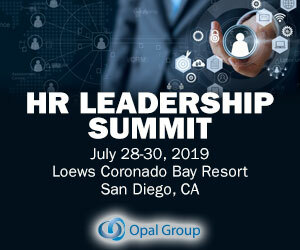 High-impact HR organizations are seen as HR departments that increasingly drive business and workforce-related outcomes. In the NFL, skilled wide receivers are often the star players on their teams. Mention Jerry Rice, Randy Moss, or Terrell Owens, and there’s a good chance that even people who don’t normally follow football will recognize their names. In my experience, there has always been mixed views on what HR should be accountable for. Meaning is one of the five keys in building employee engagement and it may be the most powerful of the keys. The power in Meaning comes because it is self-determined. Meaning is found when your work has purpose beyond the work itself. How does meaning specifically relate to employee engagement?